It's very straight forward for Monaghan when they travel to Salthill to face Galway in the final round of 'Super 8s' matches. Should they manage a win or a draw in Pearse Stadium, they'll make an All-Ireland semi-final for the first time since 1988. For Galway, it's a little more complicated. They have already secured their last-four spot and with the All-Ireland semi-final down for decision the following weekend, Kevin Walsh could be tempted to rest some front line players that have seen them lose just one competitive match in league and championship all year. However, defeat to Monaghan would see them finish second and face reigning All-Ireland champions Dublin in the last four. And Monaghan defender Colin Walshe admits that it's something of a "catch 22" situation for the Tribesmen. "It is probably tough in their regard because the semi-final does come quick, whereas we know that this is our last game of the year. We are going in with that frame of mind," Walshe said. "It's different when you are in that position when you are guaranteed a semi-final the next week regardless of who you are playing. At this stage of the competition, you are playing the top teams in the country. As far as we are concerned we don't care. We want to be in an All-Ireland semi-final. "That could be going through their heads but it is not something that can come into our mind because if we win the game, we top the group and we play whoever. "For them, it's maybe a catch 22. Or maybe they'll go with the sole focus of topping the group too. It's not something we'll concern ourselves with it." It's 80 years since the counties met for the only time in championship football, with Galway coming out on top in the 1938 All-Ireland semi-final. However, the sides met in the league earlier this year, with the Westerners running out 0-17 to 1-10 winners. However, the Farney men played with 14 men for most of that game after Fintan Kelly was sent to the line before half time. "Looking back on the league and the way it panned out beating Dublin in the last game, we missed out making a final over that (Galway) game," added Walshe. "We started the game poorly enough and got ourselves into a position where we were leading going in at half-time and got a man sent off and a free overturned in front of the goals. "It was a changing point in that game and they were comfortable enough winners in the end with a goal in the last minute that put the scoreline a bit back in our favour. But they are tough, well organised, great on the break and they have top forwards. They have shown that all year. "They ran Dublin close in the league final. It's a massive ask for us but we are in a group where there are three tough games but three winnable games." And having fallen at the last-eight stage on a number of occasions over the last few years, Walshe insists Monaghan are good enough to make the last four. 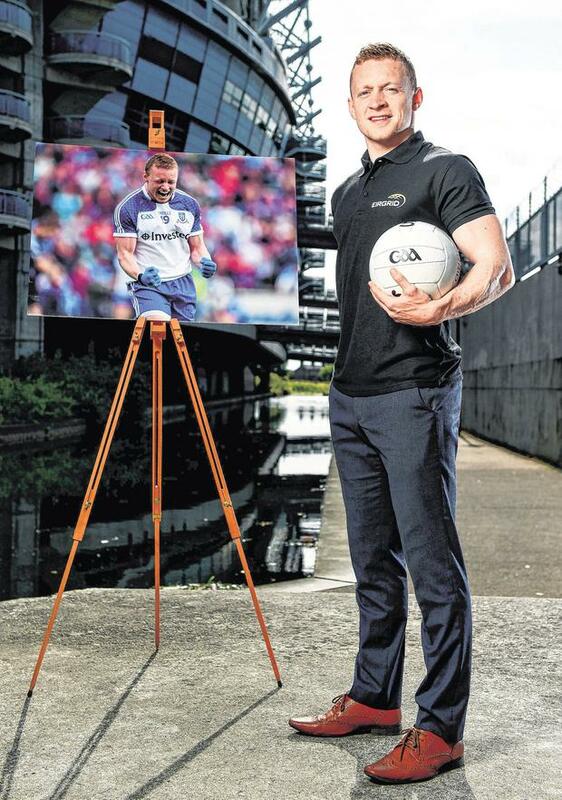 "I think if you look at our results in the last couple of years, you are probably talking Dublin and a pack behind them and I would say we are very much in the mix there," he said of the race for All-Ireland honours. "And we have proved that, we played two games in the Super 8s and nobody has beaten us, we have a draw and a win. So we've played big games, we've beaten Tyrone this year. "If you are judging on that, the Galways and the Kerrys and Tyrones are all in that and we are right in the mix. Again, it's about delivering and we hadn't done that in years gone by in quarter-finals. "We lost to Dublin, lost to Tyrone so this year in the Super 8s we have just tried to put our best foot forward and perform. It's something that we always come away with a bit of a thorn in our foot that we didn't perform in them games. "If we performed and lost those games, then we would hold our hands up. But if you feel you have more to give and you didn't do it, then it does stick with you. "That's what we have been trying to give, and we got that out of ourselves in the last two games. We got a good performance and we made sure we put the best Monaghan team out in those games."